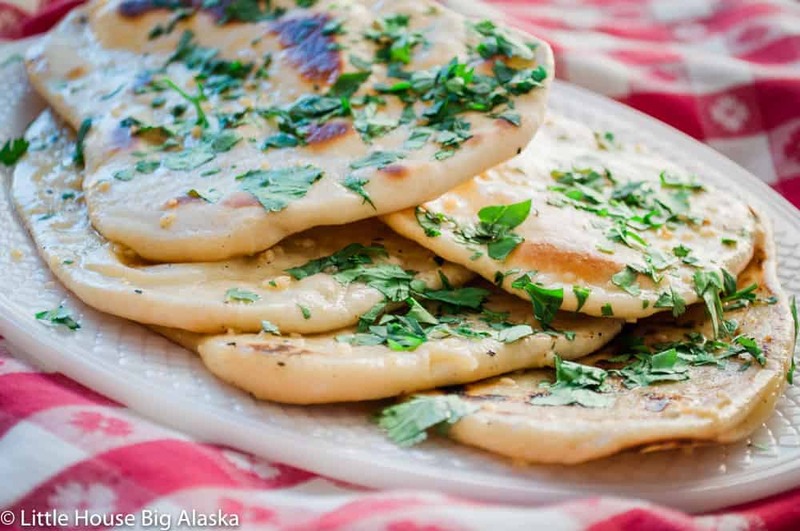 This naan bread recipe makes a pretty good restaurant style flatbread right in your home. They are perfect for dipping in curry or scooping up chunks of roasted meat for a quick bite. 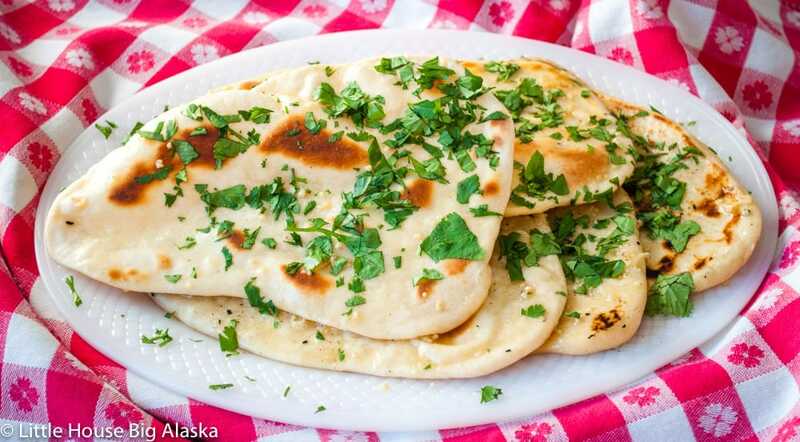 I’ve messed around with grilling flatbreads, but I’ve never had success like this. I’ll give three great ways to grill them up, and none of them require a tandoor oven, you’re welcome! 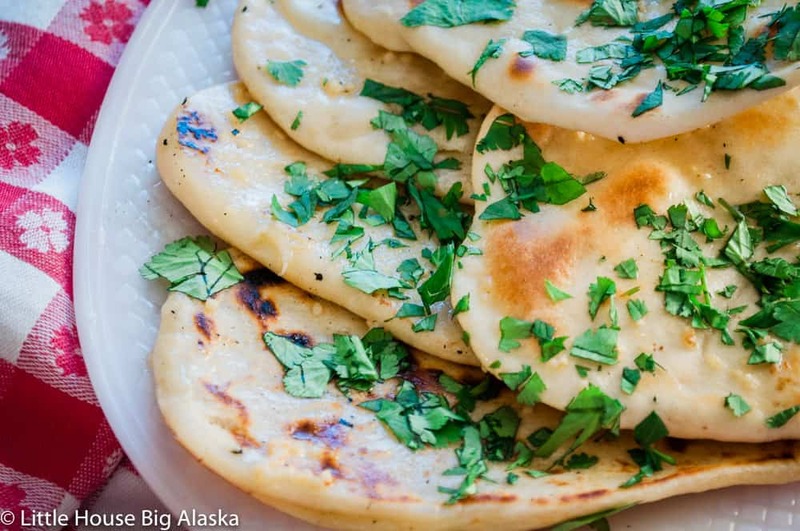 Plus I’ve converted Paul Hollywood’s Naan Bread recipe to American measurements so you can skip the scale and get right to eating more quickly. I don’t know what I was thinking but I’ve been trying to make naan with yeasted dough, and I always ended up with a mega thick size chunk of bread. Which I usually do not complain about but it wasn’t naan-like. Then came the bread episode on the Great British Baking Show and the technical bake was naan. That pretty much sealed the deal I KNEW our bake on the Great British Baking Show Bake-Along for bread week was going to be naan. It had to be right? One of the things that makes European recipes harder for Americans to follow is that they weigh everything. Which is a superior way to make sure you’re getting the right amount of ingredients. One hundred grams of sugar is always 100 grams; no measuring cup is going to give you such accuracy. Over here in America, we’re not used to using scales, we grew up with measuring cups. Part of the mission of the Bake-Along is to get people interested and baking without spending a bunch of money. So I try to convert the technical challenges for those that need or want to measure with cups. Keep in mind that sometimes weights don’t directly transfer to cups so you’ll find funky things like 1 cup of milk with a tablespoon removed or something like that. I’ve measured and tested these converted recipes no less than five times, so I get the best measurements. Cast Iron Double Burner griddle: I set it over two burners on the stove top and made the naan right on it. Again it worked well, but I had to flip them. I never did figure out HOW to cook them without flipping them. I suppose the grill pan in the oven would have been best, but I didn’t have one. No worries though because they turned out so tasty I’ll keep making them any way I can. When you’re thinking about making these remember they do need to be brushed with butter after grilling. You CAN use plain salted or unsalted butter for this job. Or you can try making your own. It’s simple, and the pure butter flavor is outstanding for everything, use it wherever you use butter. 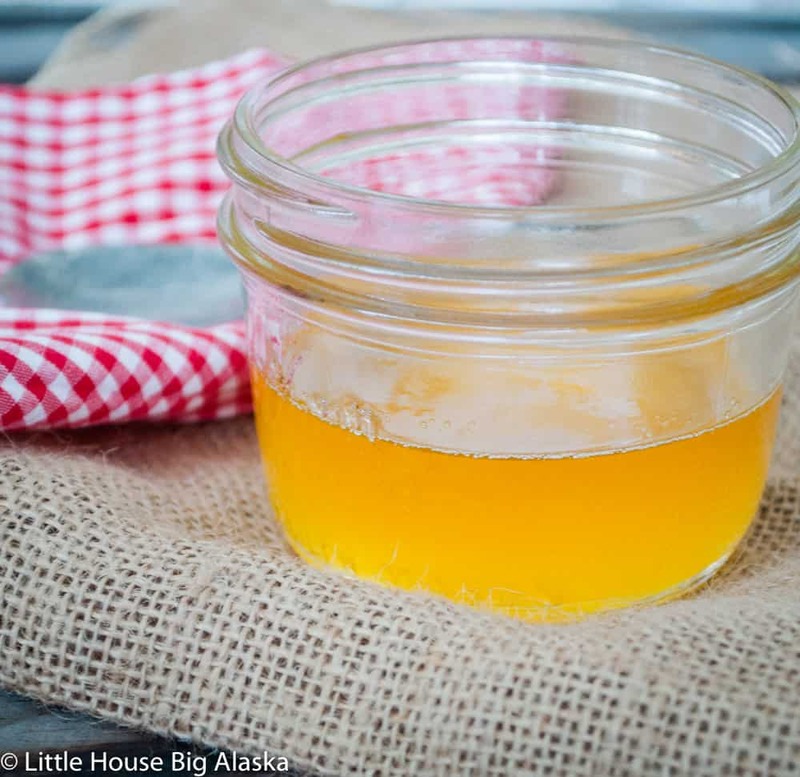 Paul’s recipe calls for Garlic Ghee, add 1-2 minced garlic cloves to the finished ghee if you would like it to be garlic Ghee. 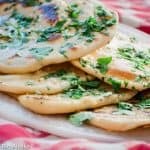 Make your OWN Naan at home using Paul Hollywood's Naan Bread Recipe which I've converted to American Style Measurements for easy baking in the USA. I love that British Bake Shows, have been watching for a time. Thanks for the info on measurements, now I will try to…..Bake! Go make Naan Bread Carmen!! Cheers!